My name is Debbie Veysie and I am married to Peter. Peter and I have the privilege of leading the George Methodist Church together, working to our different strengths. I gave my heart to Jesus when I was 9 years old and from a young girl I have been passionate about serving the church. In my teenage years my family was part of planting a new church in Hillcrest. We sat in the ruins of something else and brought out a facility that captured the hearts and minds of a new generation. As the structure rose I somewhere made an inner pact to do this with the rest of my life. The potential to creating a functional structure that brings people together to serve God has become my life’s passion. At my very core I believe that all people matter to God. I am a qualified school teacher, a professional photographer, interior decorator and for about 17 years of my life I ran an art school for adults who exhibited there art at a yearly arts festival. Together Pete and I have led churches for the last 30 years. 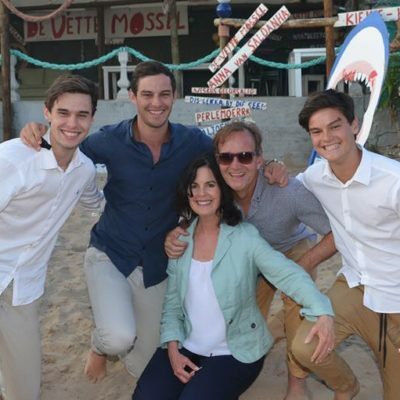 We have raised three incredible boys, who are the joy of my life. By nature I am an encourager and if you give me a project I’ll get my ‘hands dirty’. My hobbies outside of work are dancing, drinking coffee, gardening and spending time with people.